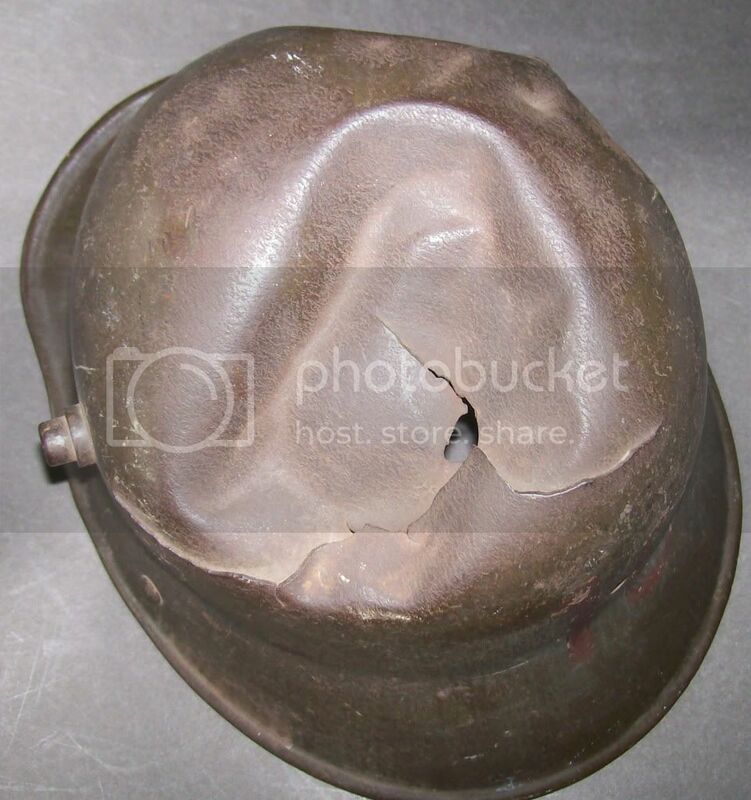 I usually don't collect battle damaged helmets, but this one caught my eye due to the information and history it contains. 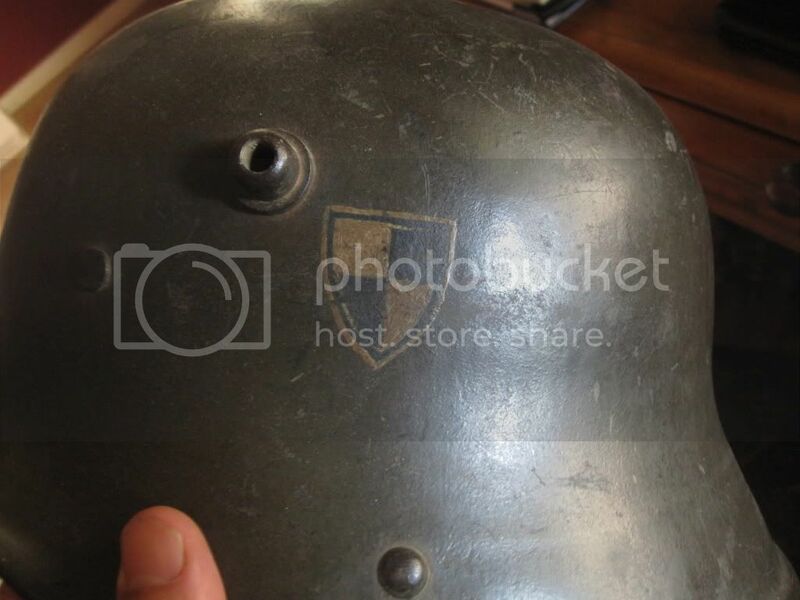 It belonged to a soldier named Alsen of 10th Company in one of the Regiments of the elite Garde-Division. 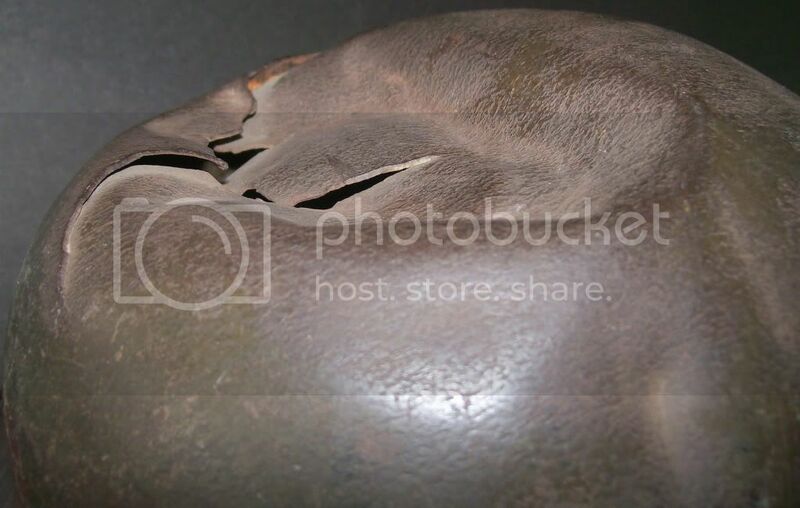 It has two areas on the right side showing what appears to be bullet damage, with one leaving a dent while the other pierced the shell and left an impact mark on the inside left of the shell. 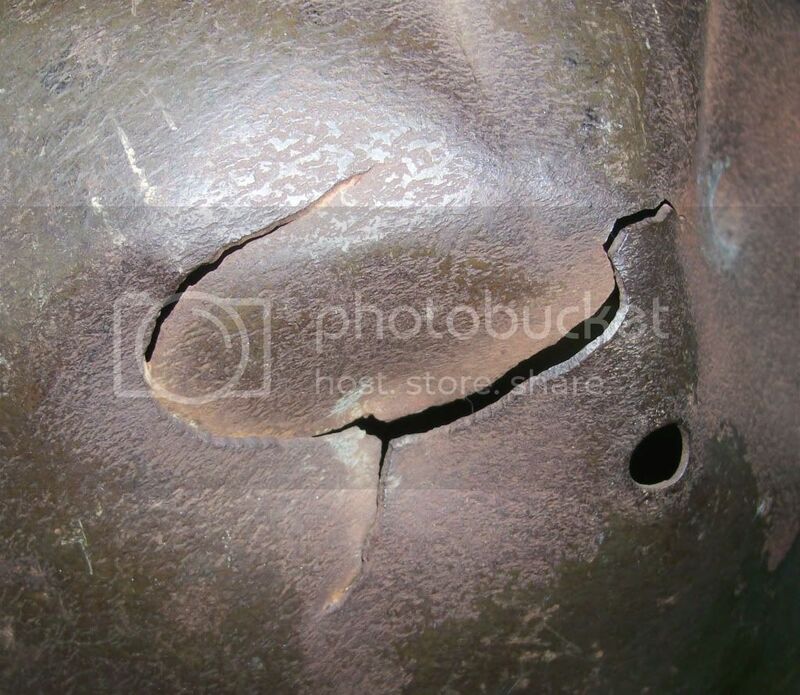 The rear top left section of the helmet has been crushed inward. 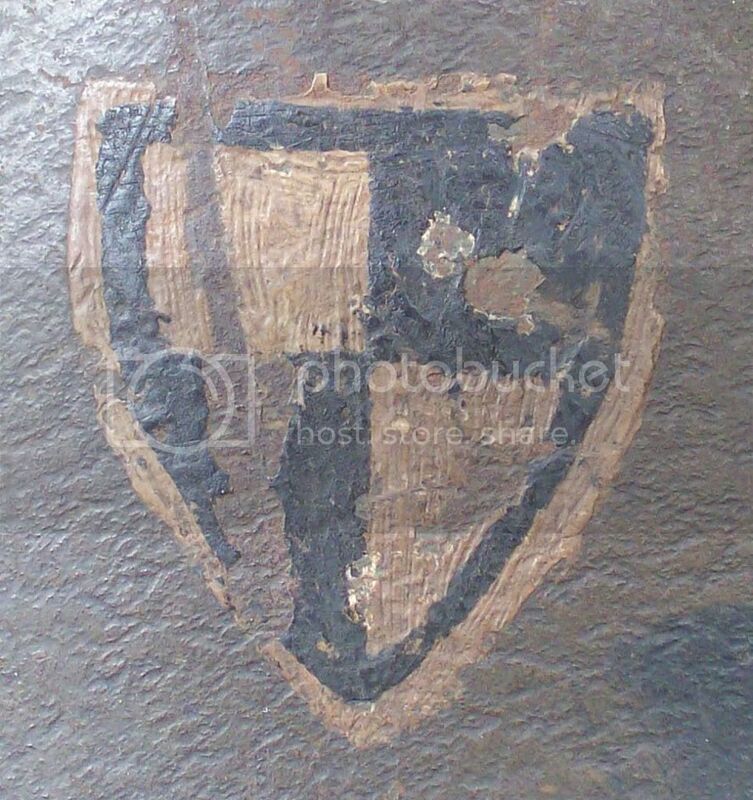 I wasn't able to find the name Alsen on the list of dead and missing during the period this type of insignia was painted on helmets. A very interesting feature on this size 62 F.C. 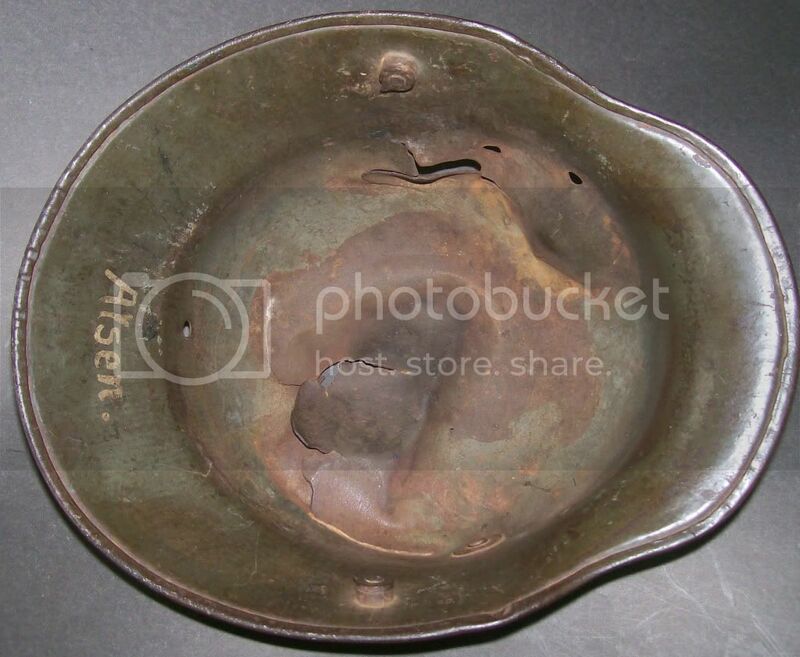 Bellinger made shell is the maker code, which is F.B.62 instead of the usual B.F.62. This variant was unknown to me. I look forward to hearing if anyone has encountered this version of the stamp and to possibly see other examples of it. Last edited by Stahlhelm on Wed Jul 27, 2011 4:33 pm, edited 1 time in total. 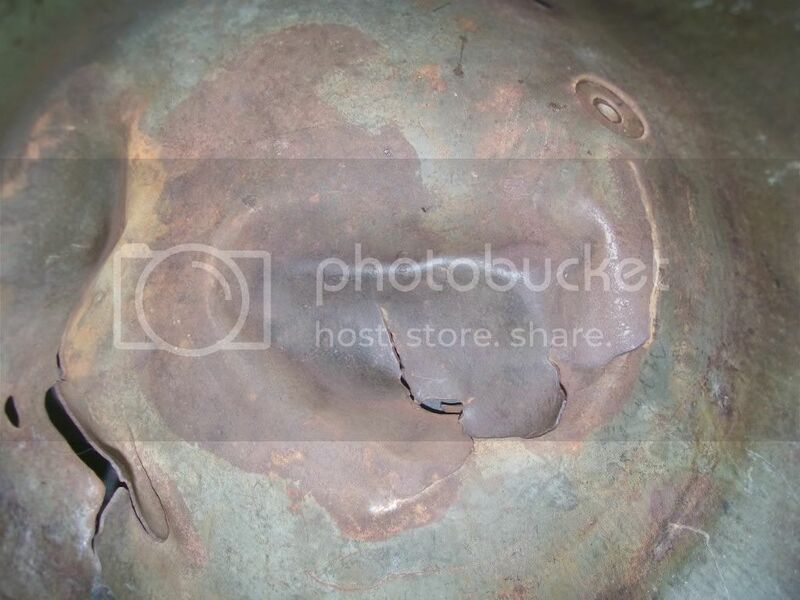 Some detail shots of the Hohenzollern shield and impact damage. That is one neat helmet; can't think he would have survived that level of shell fragment impact! Interesting too that it hasn't had a camo paint job. 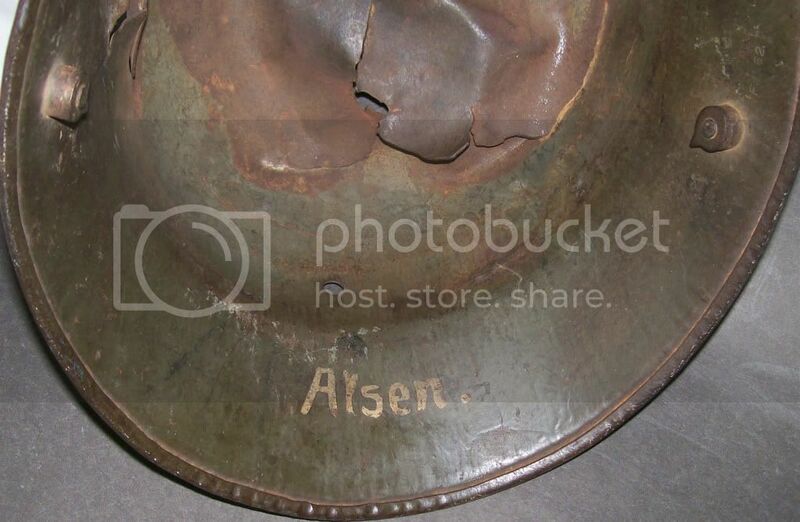 This would likely indicate that it was damaged between the spring and summer of 1918. The insignia looks good. I agree with you regarding the time-frame Chip. I think it was you who once suggested that the red (and black) company numbers were the earlier versions, and that they switched to white numbers later to improve visibility and that these tend to show up on camouflage helmets. I hope my recall isn't too far off. Any thoughts on this? Getting all the timing right for this insignia is difficult, but I think some educated guesses can be made based on the known good pieces. You are correct about the ideas that I have expressed. These were formulated by studying both the "classic" guard division helmets and the several variations. Due to the fact that we have a pretty firm idea as to when the shields were first painted and when the camo was added, it helps to give a timeline where you can make some generalizations. My observations regarding the numbers are based on the same study. 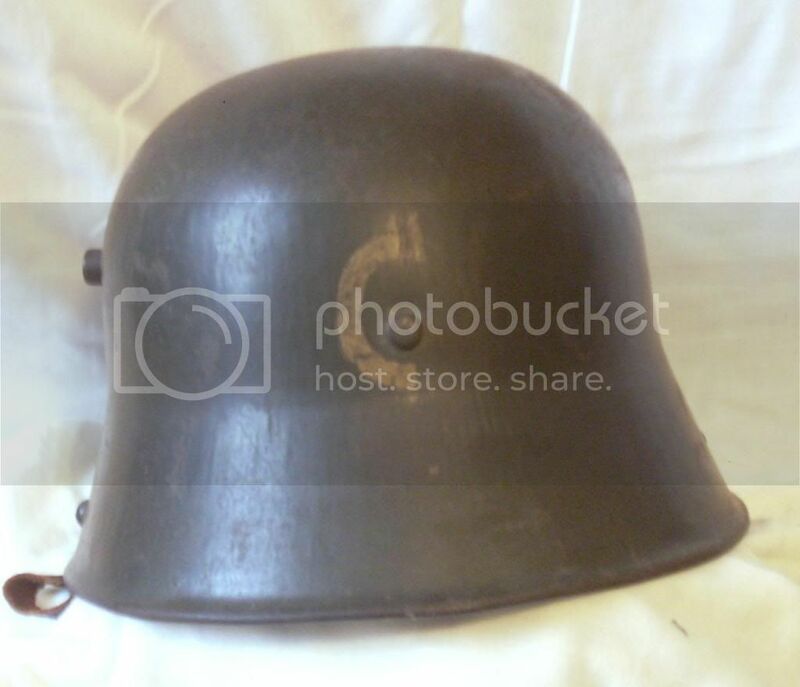 I have yet to see a guard division helmet with a white number that was not painted over an earlier red number. 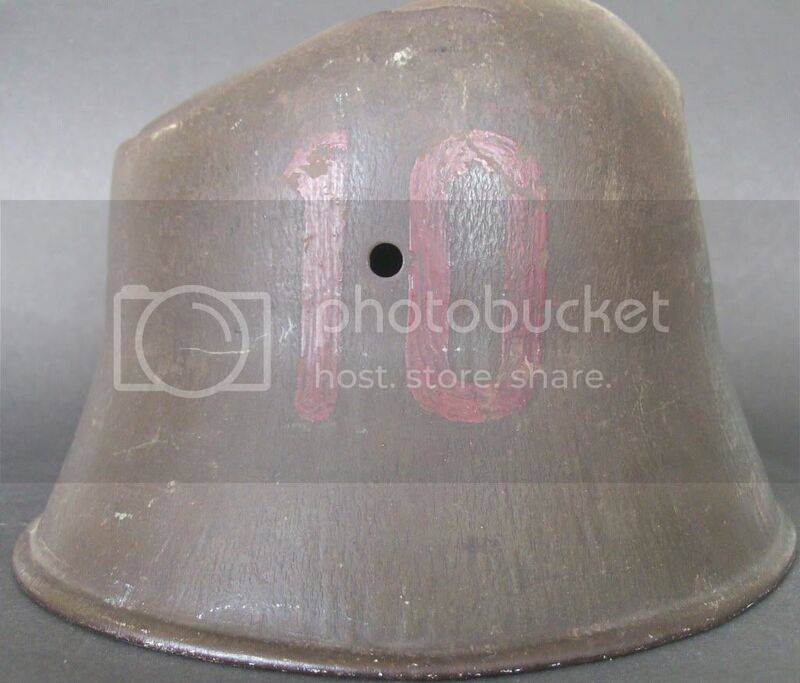 It should be possible that a newly issued helmet (if they were still issuing M16 and M17 helmets in late 1918) could have a white number with no prior number underneath, but I don't think that brand new helmets were being issued in any numbers at this time in late 1918. It makes sense to me that the shields on the helmets could vary. They they could have been painted on for the better part of a year, so variance is likely. 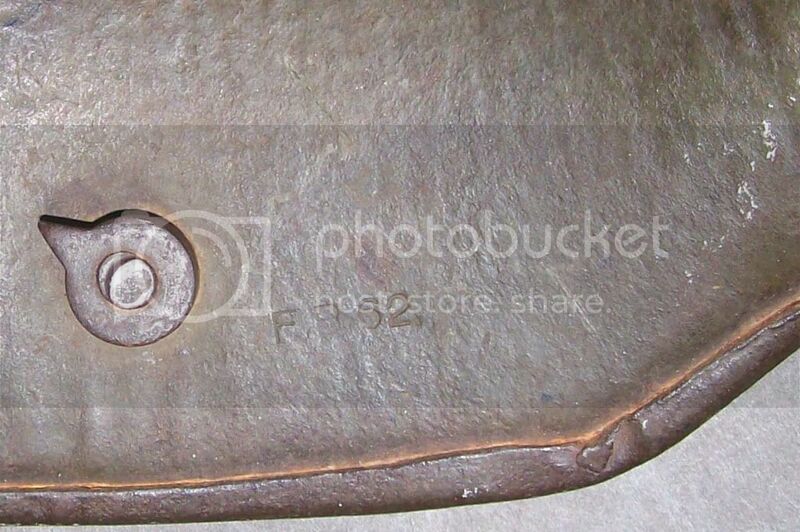 Consequently, I don't think that every shield has to look identical or be positioned in the exact same place. I don't personally have a helmet with black regimental number on the back, but I have seen at least two good examples. I have not seen them in conjunction with either red or white numbers, so my conjecture is that they were done some time either concurrent with the red numbers, but in any case, before the white over-painting began. It would be nice to get my hands on a copy of the regimental history of the 1.Garde Regiment zu Fuß to see if any mentions are made of the introduction of the shields or the camo paint. 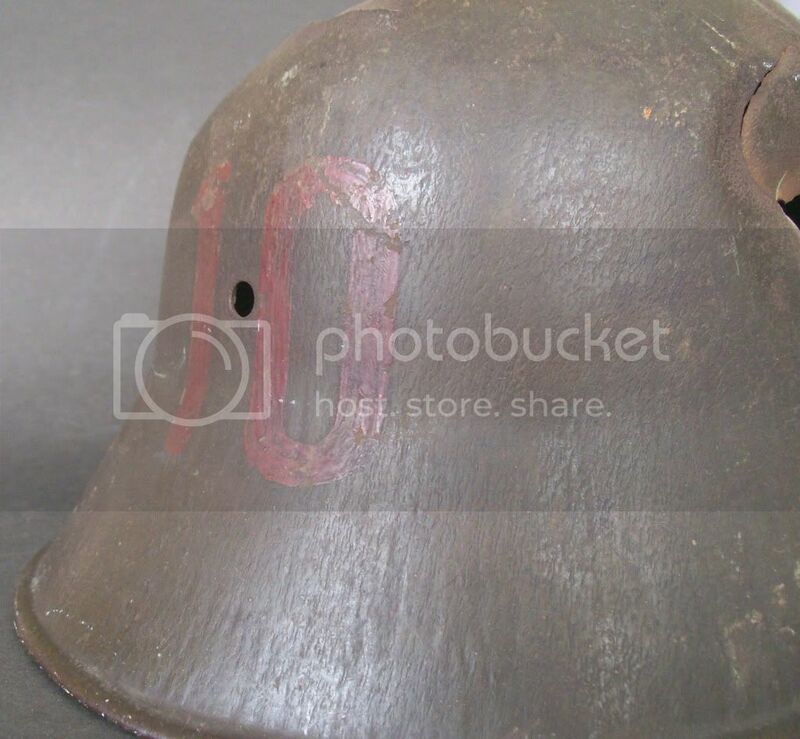 The photo of the unit commander with a painted helmet, gives me hope that it may have been mentioned in the text. I have not gone through all of the 1918 AKOs and AVBs to see if anything official was authorized. Last edited by Chip Minx on Tue Aug 09, 2011 9:59 pm, edited 1 time in total. Thanks for your insightful views Chip. It's put even more questions into my head, and reminded me how much there is still to learn on this subject. You say you've seen a picture of the Commander of 1. Reg zu Fuss wearing a camo helmet? Do you mean Eulenburg-Wicken? That would be interesting to see. I've only seen a picture of him wearing what looks like a plain Feldgrau helmet with shield. 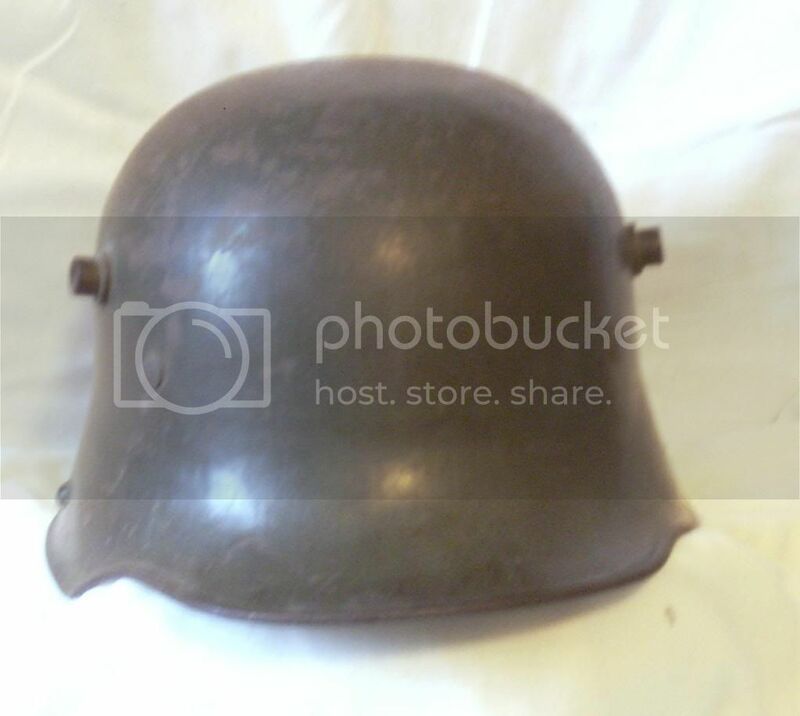 Just saw this one, a great find of a hard to find helmet. the Commander of 1. Reg zu Fuss wearing a camo helmet? Do you mean Eulenburg-Wicken? You can find that photo at the end of the Regimentsgeschichte "Das erste Garderegiment zu Fuss im Weltkrieg 1914-18". regimental history of the 1.Garde Regiment zu Fuß to see if any mentions are made of the introduction of the shields or the camo paint. The photo of the unit commander with a painted helmet, gives me hope that it may have been mentioned in the text. I thank I could find it was painted for a parade with the Kaiser or the Kronprinz, but nothing. Sorry, but I think you read something into my post (or perhaps I wasn't clear!). What I meant was I wondered if the book would mention the shield or the painting of the camo on the helmets. I did not mean that the photo I was alluding to had camo on the helmet. Evidently, someone has already read through the text and the result was....no joy. I did not mean that the photo I was alluding to had camo on the helmet. Photo was for showing shied, not camo. Is there any evidence of a previous number underneath the white one? 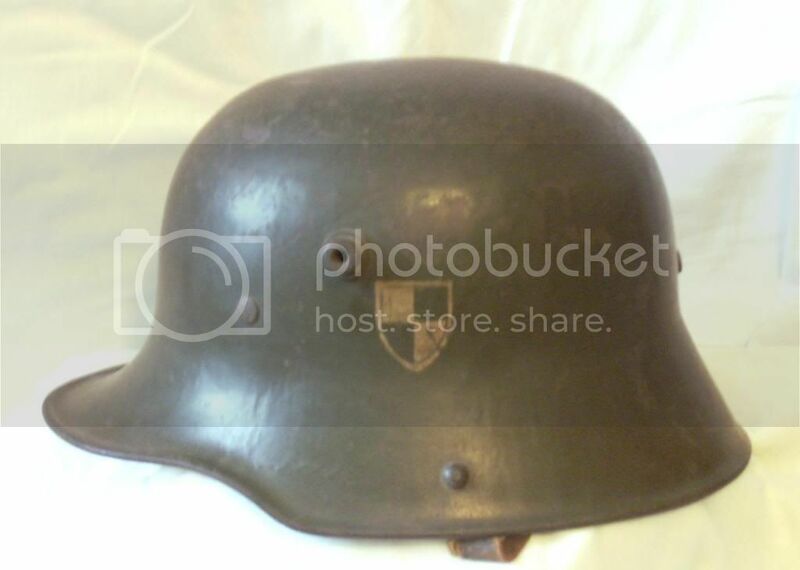 What is the manufacturer code on the helmet? I think I see some red showing through. Is there any additional information painted or penciled on the inside? 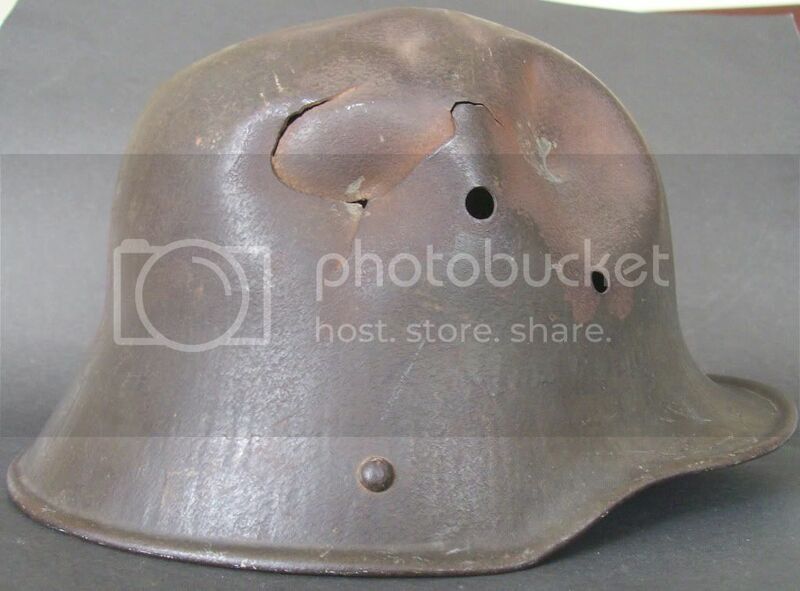 Very nice helmet, picked up after the battle by some doughboy and brought home ! again, nice helmet, congratulations ! I think the number was red on Feldgrau helmets, and overpainted white when camo. 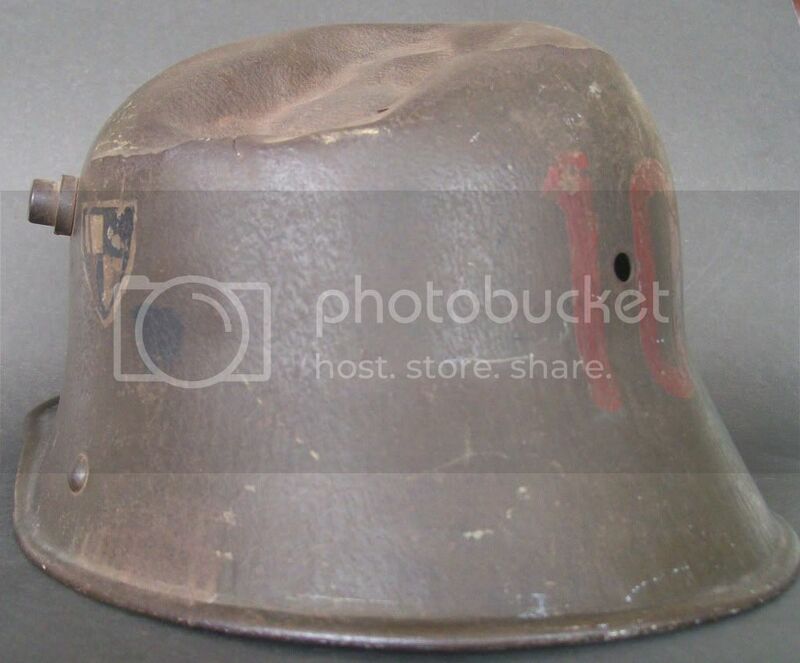 I've been looking through this forum for your earlier observations on the timeline of Guard Division helmets, but I haven't managed to locate them. Would you or some other helpful person mind pointing me in the right direction? Hans was referring to threads on other sites regarding this subject. 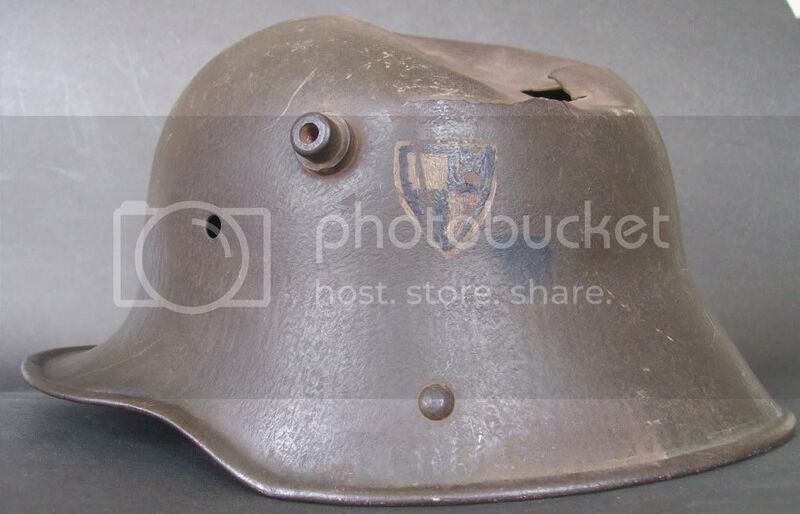 There is a thread on the Wehrmacht Awards website and another on the German Helmets Walhalla site. I will take a look; thanks Chip. There is a fairly new pinned section on this topic in the Walhalla forum that could really use your input Chip. (Hint hint). 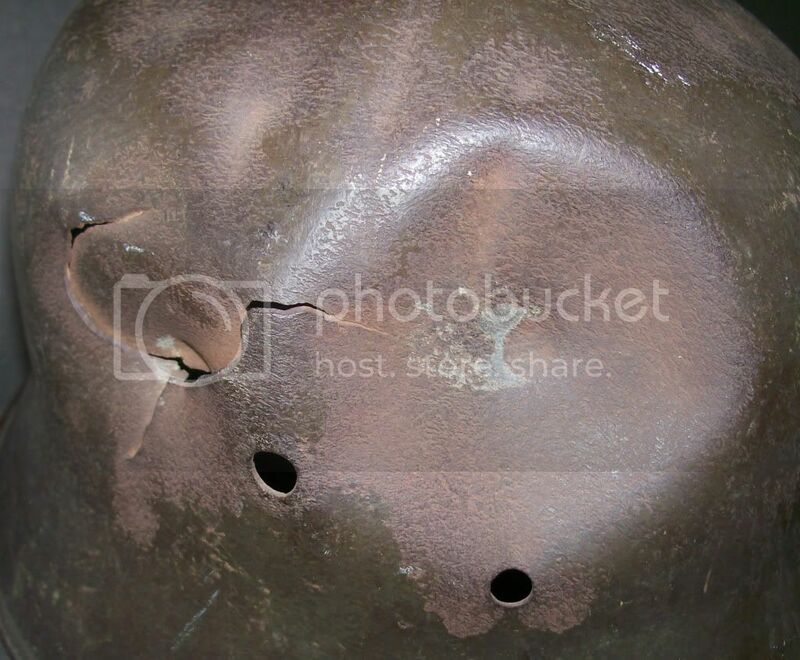 Regarding the early post, yes Chip, I did mistook your mention of a "painted helmet" as referring to camo paint instead of the shield. My mind must have been in camo mode. Greeting - I'm new to this site, so please me gentle. 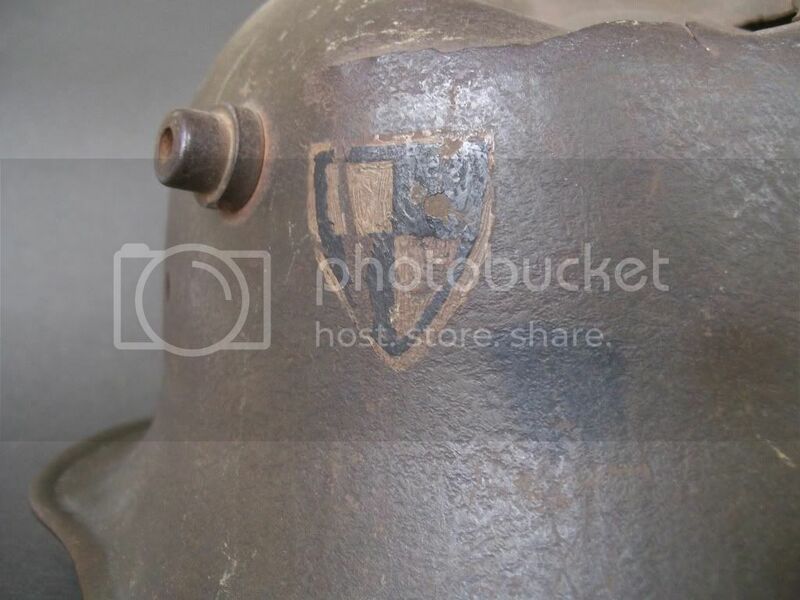 I have a Guard's M'17 helmet with a marking on the rear that I'm not sure about. 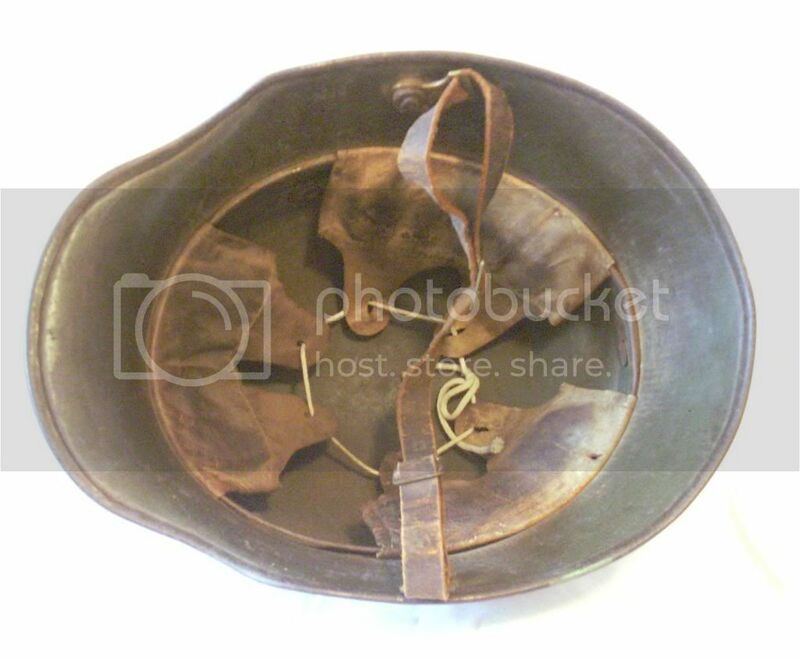 I know the history of this helmet since 1918 so I do not believe it has been played with. In fact the first time I saw this helmet was in 1955. Besides the original helmet color the only other color on this helmet is white. There is no signs of any red nor black paint ever being on this helmet. The side shield is white and the original helmet color. But my question is about the marking on the rear. I have always believe that the rear markings were of the company's number. 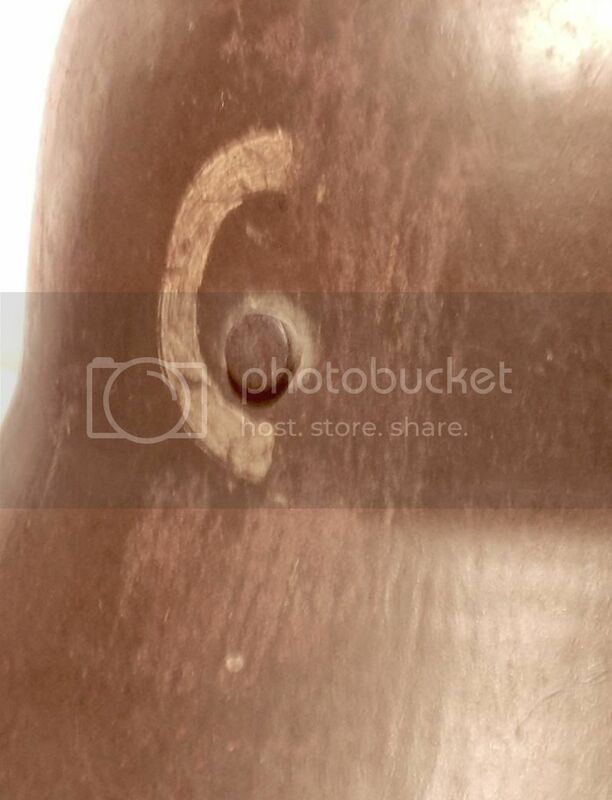 This helmet has what appears to be the letter "C" in white. 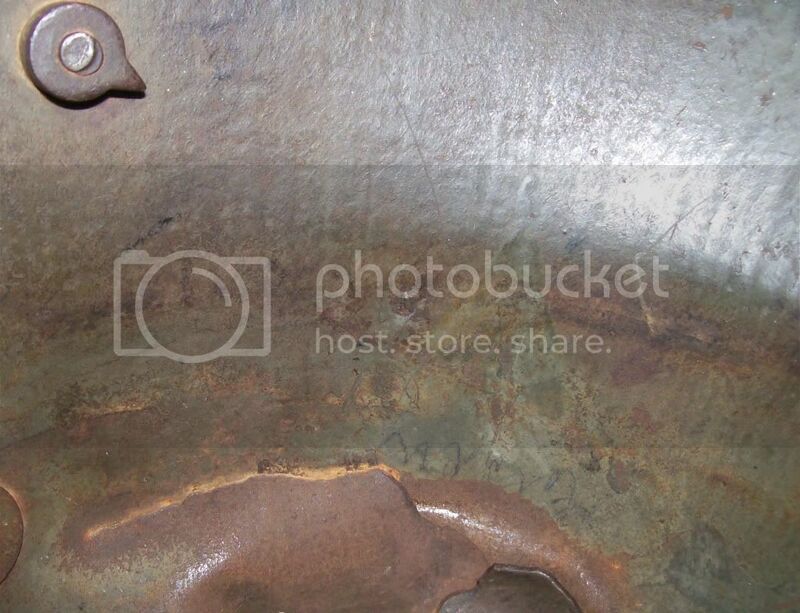 I said appears to be, as the area next to the letter has had the paint scratched off (down to the metal), so it may have been a "0". Since neither of these are company identifiers anyone know what the marking may mean? Helmet is marked BF64 (Bellinger size 64), white leather liner, original chin strap with brass hardware. I've posted this here as another example of a white marked non-camo helmet. If that may be of interest or help. You will need to provide us with much clearer pictures than these. Went and tried to take some better photos, they came out even poorer. However, I was able to answer my own question. 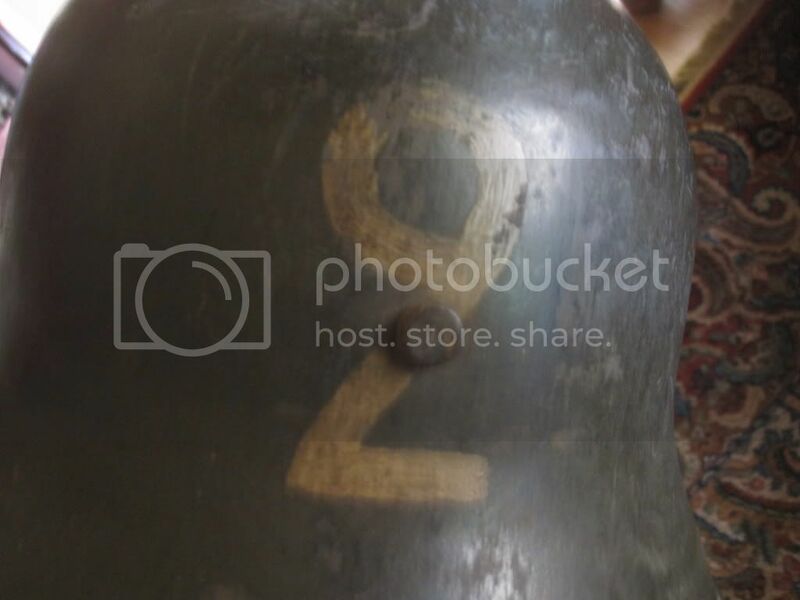 I believe that the marking on the rear was a "9". Not the same style that appears on the other white number 9 helmet. Here are some photos (poor as they maybe) that do show the scratched off area, as well as, three little white spots still remaining. Looks like the remnants of a #9 (9th Comany). I think this helmet holds promise, but I can't say much more based on the pictures. This subject of helmet markings is becoming more interesting. It appears the more we come up with on it, the more questions there are. 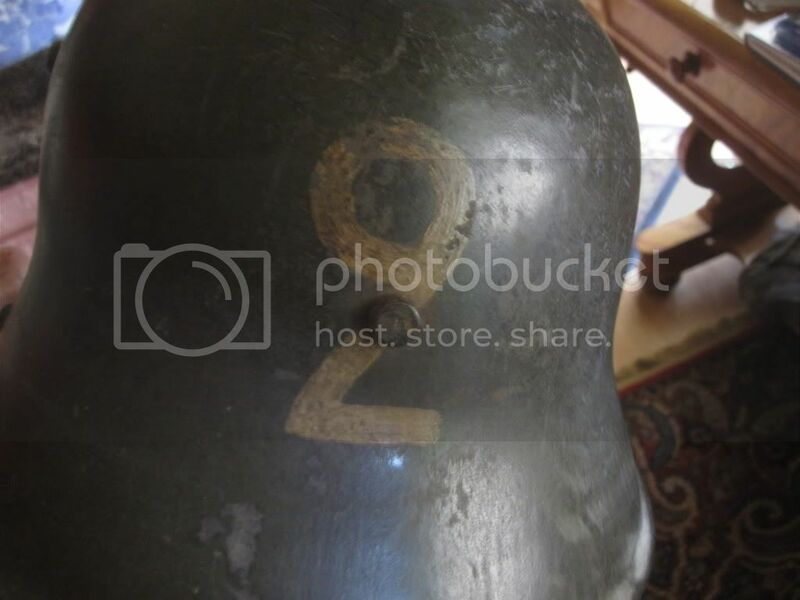 Comparing the two 9th company helmets, it would appear one was originally marked with a two then 'adjusted' to a nine, while the other had two / thirds of the nine removed. Why? This, also, would point to not only the 9th company using white numbers, but second company as well. Does anyone out there have two helmets marked for the same company in different color paint?